Most leaders recognize that without a sustainable planet we are setting up future generations to fail. Some say the world is on a knife edge. However, how do you contribute to this essential global issue when you have short term business improvement and growth or even political votes on your mind? On this show, I am delighted to welcome Steve Gray the Chief Executive of Earthwatch in the UK, Europe & Middle East. Also, Stuart Pickles ex Chief Financial Officer of Fosters and now a Leadership Development Coach with a passion for sustainable leadership who has worked and lived in Japan, Australia and Asia. True sustainability experts with a global perspective. Join us to think through how business can really become part of the solution and not the problem! Steve leads Earthwatch in the UK, Europe & Middle East. 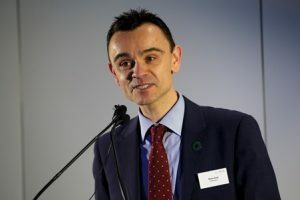 As Chief Executive, Steve is responsible for all aspects of governance, strategy, and fundraising, as well as overseeing the monitoring and evaluation of Earthwatch Europe’s impact against our mission. He has worked in the conservation sector for more than 15 years, after graduating from University of Southampton (BA Geography & Archaeology) and UCL (MA Managing Archaeological Sites). 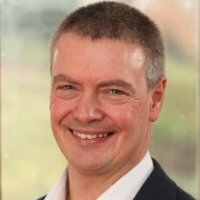 Steve has experience of developing and delivering partnerships in the UK, sub-Saharan and West Africa, China, Brazil and the Middle East. During his career Steve has also worked extensively in fundraising, most notably as Head of Fundraising at the Wildfowl & Wetlands Trust based at Slimbridge. With a lifelong interest in the natural world, Steve believes strongly in the intrinsic link between a health environment and human wellbeing. Ex-CFO and coach, Stuart spent 25 years in senior leadership positions in Finance, Sales and transformation, including Unilever, Kraft and Foster’s, where he was CFO for European operations. A qualified accountant he developed a passion for leadership and motivating people. A life changing experience led to becoming coaching champion whilst CFO at Foster’s, leading the creation of a coaching performance culture and doubling bottom line profit. His story has been the subject of various articles on “Coaching at Work”. Outside the UK he has lived and worked in Japan, Australia and Asia and is fluent in Japanese. Stuart now runs Aim Higher Leadership Ltd coaching leaders and teams, across a wide variety of clients, sectors and continents. He speaks about leadership, innovation, change and engagement. He is a youth rehabilitation charity trustee, coaches youth rugby, has a Cambridge Law Degree, qualified coach and member of the Association for Coaching.